The new modern customer display SCD122 from Star is exceptionally fast, thanks to its integrated USB2.0 interface. But, its self-lighting 2 x 20 character vacuum fluorescent display (VFD) makes it especially effective in checkout areas. Blue/green characters of 5 mm height are displayed in a rich contrast, making them easily readable even under the most difficult lighting conditions. Its height adjustable pole allows it to fit into its environment easily, and its rotatable head moves vertically up to 30° and horizontally up to 300°. The user can program 3x40 characters into the display's memory, which will then either blink or be displayed as a scroll bar. This is a convenient feature for customer greeting messages or for information during the cashier's absence. Its integrated ESC/POS emulation (selectable via DIP switch) allows this display to easily adapt to pre-existing structures, ensuring compatibility when exchanging defective customer displays. 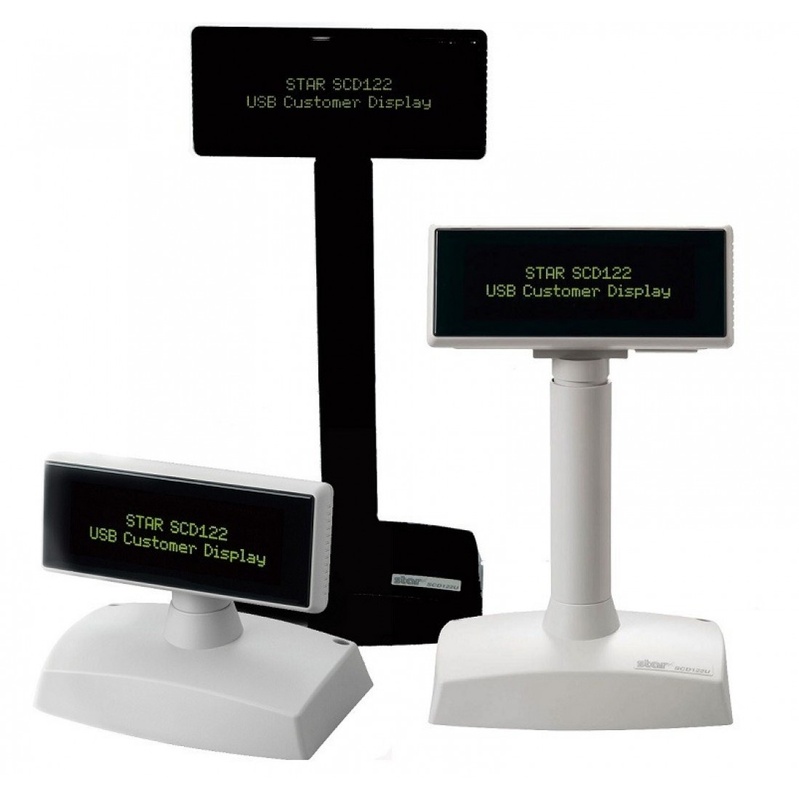 The SCD122 customer display comes with a USB2.0 connection and is available in either black or white.